Although maternal death has become a very rare event in high-resource countries, the maternal mortality ratio in these countries continues to serve as an important indicator of maternal health and as an indicator of the performance of their health-care systems. Given the limitations of maternal mortality statistics based on death certificates (underestimation, differential inclusion biases), an ad hoc system aimed at studying every maternal death appears essential. Since 1996, national confidential enquiries on maternal mortality (ENCMM) have been performed in France. Scientific responsibility for this continuous survey was initially assigned to Inserm Unit 149, which subsequently became 953 and is now 1153 – the EPOPé team. 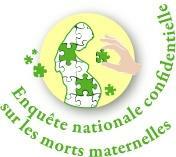 As of today, the ENCMM has recorded 1100 maternal deaths across France. an analysis of the circumstances of the onset and management of the morbid events and the fatal outcome, to identify avenues for improvement, mainly by a qualitative approach. The national expert committee on maternal mortality (CNEMM) is responsible for analyzing all maternal deaths nationwide to identify these avenues. The committee is composed of gynecologist-obstetricians, anesthesiologist-critical-care specialists, midwives, and epidemiologists; in 2014, it was placed under the authority of the French Institute for Public Health Surveillance (InVS). It includes all deaths that occur during pregnancy or up to one year after its end, regardless of the cause and mode of termination. Three sources are used to identify these deaths: 1) death certificates, with the participation of the center for the epidemiology of causes of death (CepiDc); 2) INSEE’s national database of birth and death certificates makes it possible to identify women who died in the year after they gave birth; 3) the national discharge statistics (PMSI) allows the identification of hospital deaths in an obstetric context. At the same time, the perinatal health networks that cover the entire country directly report potentially maternal deaths in facilities in their catchment area. After obtaining the agreement of the attending physician, the EPOPé team notifies a two-person team of assessors that is assigned to collect the relevant information (woman’s history, course of the pregnancy, circumstance of the onset of the events that led to death, and the care provided). This team is composed of volunteer clinicians, one an obstetrician or midwife and the other an anesthesiologist-critical-care specialist. The records are centralized by the EPOPé team and anonymized before their examination by the committee of experts. This is the specific task of the CNEMM. In plenary meetings, each death that has been investigated is discussed collegially, based on all of the information available. At the conclusion of this conference, the committee reaches a consensual judgment about: 1) the cause of death: a maternal (causal association with the pregnancy) or non-maternal cause (temporal but not causal association), 2) the appropriateness of the care provided: care is classified as optimal or non-optimal, and 3) the avoidability of the death: it is judged to have been unavoidable, possibly avoidable, or certainly avoidable, depending on the existence of circumstances the correction of which might or would have avoided the fatal outcome. Triennial reports describe the results of this survey, as do articles in scientific journals.